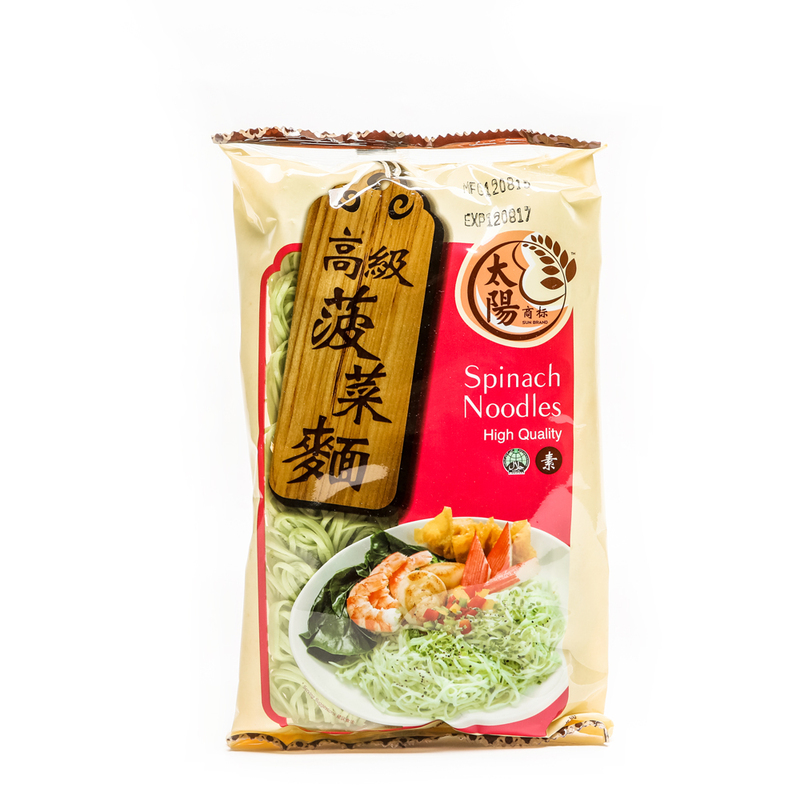 Spinach noodles are considered a fine staple dish. It consists mainly of wheat flour and spinach. It has a fragrant taste brought about by cooking, and preparation is of intermediate difficulty. Spinach is sweet, cooling, and is capable of restoring blood or stopping internal bleeding. Some other benefits include improving the functionality of the five organs, quenching of thirst and the aiding of digestion.